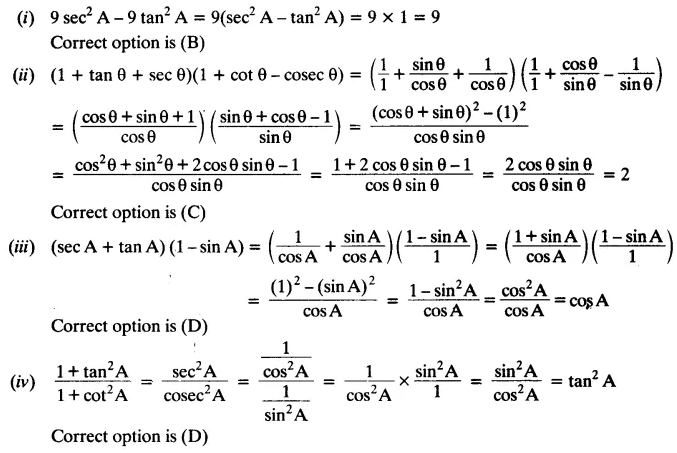 Get Free NCERT Solutions for Class 10 Maths Chapter 8 Ex 8.4 Introduction to Trigonometry Class 10 Maths NCERT Solutions are extremely helpful while doing homework. 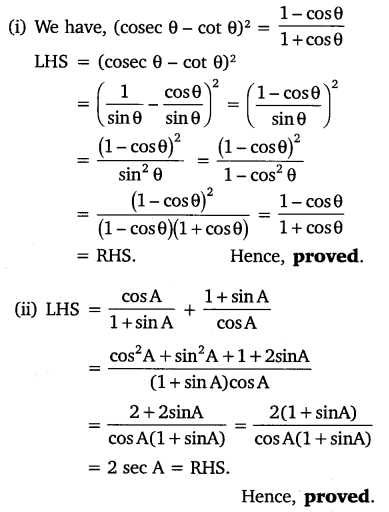 Exercise 8.4 Class 10 Maths NCERT Solutions were prepared by Experienced LearnCBSE.in Teachers. 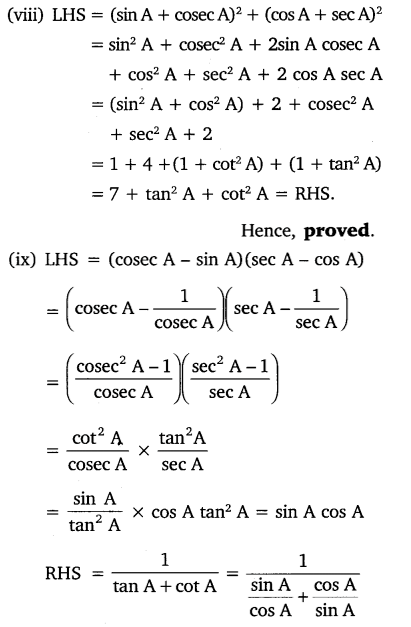 Detailed answers of all the questions in Chapter 8 Maths Class 10 Coordinate Geometry Exercise 8.4 Provided in NCERT Textbook. 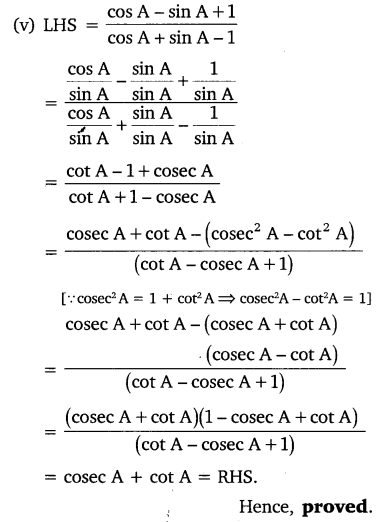 You can also download the free PDF of Chapter 8 Ex 8.4 Coordinate Geometry NCERT Solutions or save the solution images and take the print out to keep it handy for your exam preparation. 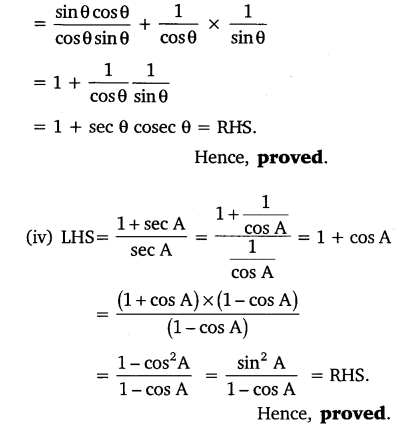 NCERT Solutions for Class 10 Maths Chapter 8 Introduction to Trigonometry Ex 8.4 are part of NCERT Solutions for Class 10 Maths. 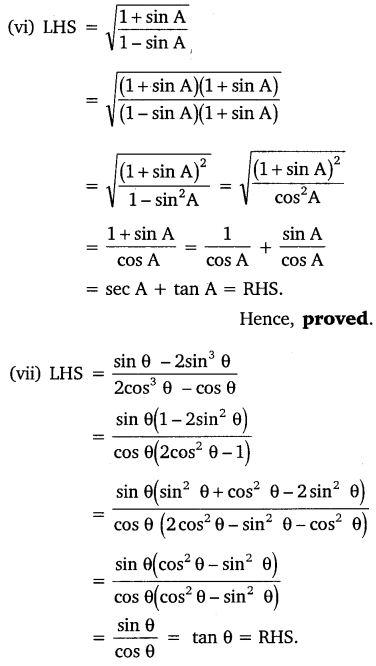 Here we have given NCERT Solutions for Class 10 Maths Chapter 8 Introduction to Trigonometry Ex 8.4. 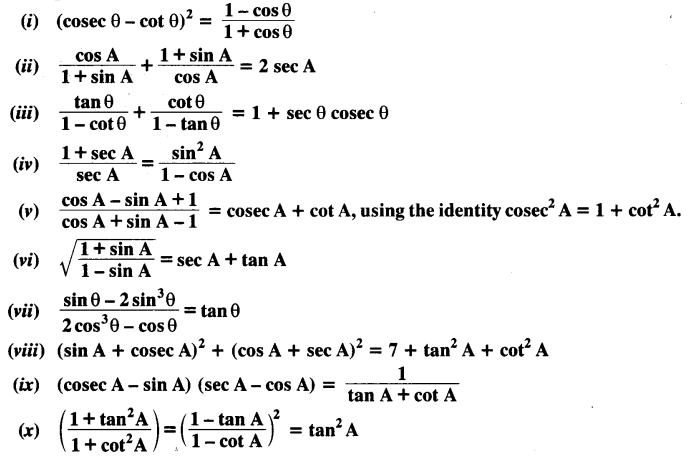 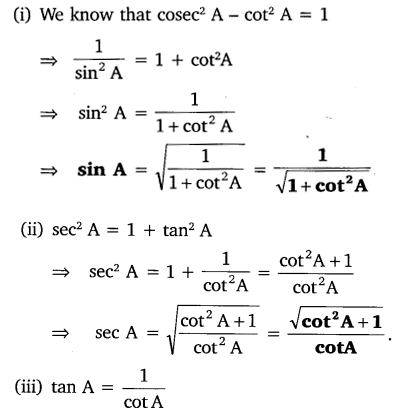 (ii) (1 + tan θ + sec θ) (1 + cot θ – cosec θ) = ………..
(iii) (sec A + tan A) (1 – sin A) = …………. 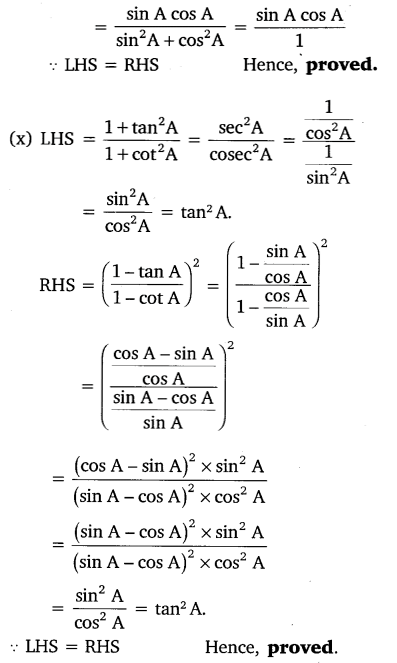 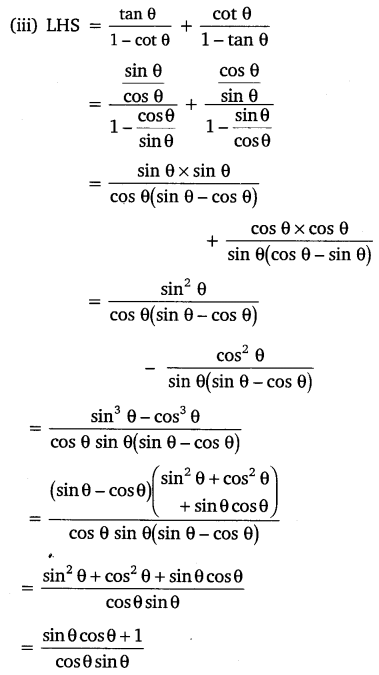 We hope the NCERT Solutions for Class 10 Maths Chapter 8 Introduction to Trigonometry Ex 8.4, help you. 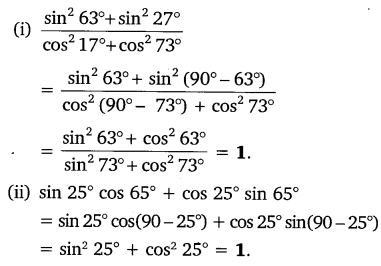 If you have any query regarding NCERT Solutions for Class 10 Maths Chapter 8 Introduction to Trigonometry Exercise 8.4, drop a comment below and we will get back to you at the earliest.